I know how important writing is, but not how important the tools we use to write with are. Around 3500 BC, Mesopotamian scribes began recording daily events, trade, taxes, prayers. They had high status being highly trained to write cuneiform for many of the languages spoken in Mesopotamia and different types of texts written by scribes (70% of the scribes we know by name were sons of society’s elite, including royalty). A reed stylus was their main tool to make wedge shapes to create cuneiform signs by pressing the stylus into clay or wax. As a child I used paper, crayons and pen, and until yesterday I never knew I had such fine handwriting, at a certain stage of my life. 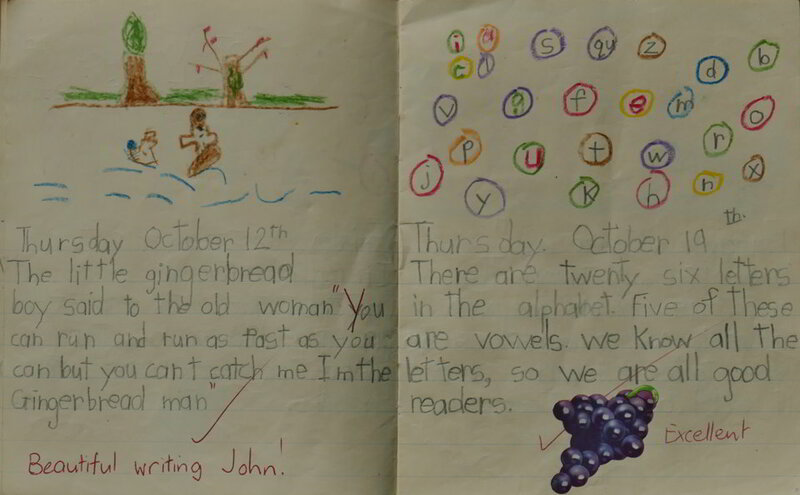 Then later when ordered to do joined-up writing, as the cursive hand was called I remember being put into a remedial class. The vicissitudes of school! A while back I found an essay from university (mid seventies), I wrote it but couldn’t read much of it. 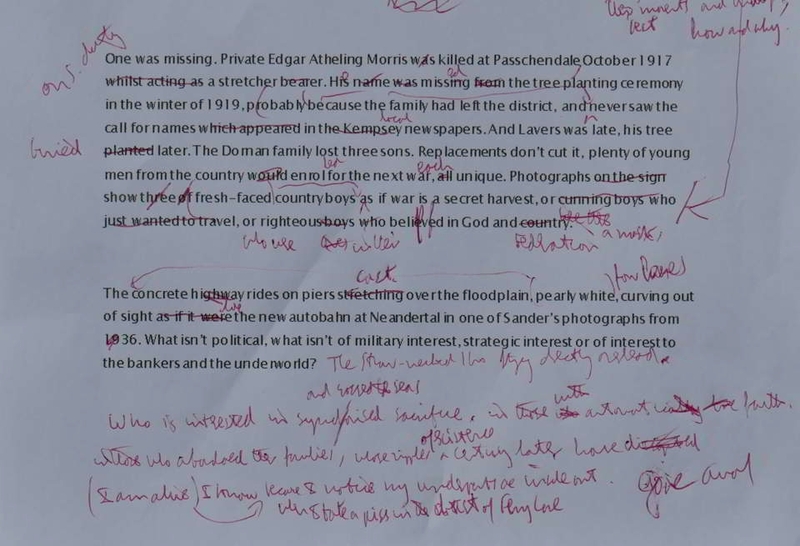 I realised the skill lecturers had to have back then to decipher all the different styles of handwriting thrown at them. Graphologists claim to read your personality from your handwriting. A postcard written by Hitler in January 1915 reveals his megalomaniacal psychopathy it has been claimed. And then there’s the art of forensic analysis ‘Twenty-one distinguishing characteristics. According to one standard textbook, that’s the number of handwriting elements that may reliably help distinguish a person’s writing. These include the dimensions and proportions of the letters, the spacing both between and within words, and the way in which words and letters are connected.’[iii] Perhaps it is a dying art in the age of texting and keyboards. At my interview to be accepted as a PhD candidate, one of the panel asked, ‘How do you write?’ I was puzzled, not knowing what he meant. He had to explain do you use a pencil, pen or computer. Poets don’t write onto computer like novelists. Most poems are more organic, visceral, immediate. Wallace Stevens used to walk his poems to work, to think and find their rhythm, and scribble them down. At the office his secretary would type up his poems as she was able to read his angular, difficult handwriting. Poets no longer have secretaries so have to use computers or tablets. I write poems on scraps of paper, envelopes, shopping lists, anything then type them up later and then work on them again. Often the scrawl at each iteration is hard to read. A font seems tailor made for bureaucratic procedures, but enables a smooth read. [i] Nietzche, The portable Nietzche, Ed. W. Kaufman, Viking, 1976, p513. [ii] Walter J. Ong, ‘Writing is a Technology That Restructures Thought’, in Gerd Baumann Ed., The Written Word: Literacy in Transition, OUP, 1986. [iv] Philip Hensher, ‘Why handwriting matters’, The Observer, 7 October 2012. [v] Angela Webb, Does handwriting have a future?, http://www.abc.net.au/radionational/programs/futuretense/does-handwriting-have-a-future/7574590#transcript, 7 August 2016.